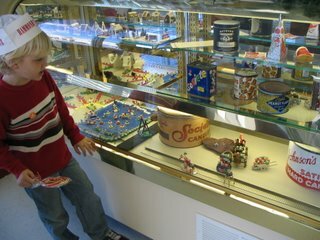 We spent Thursday afternoon in Denver. 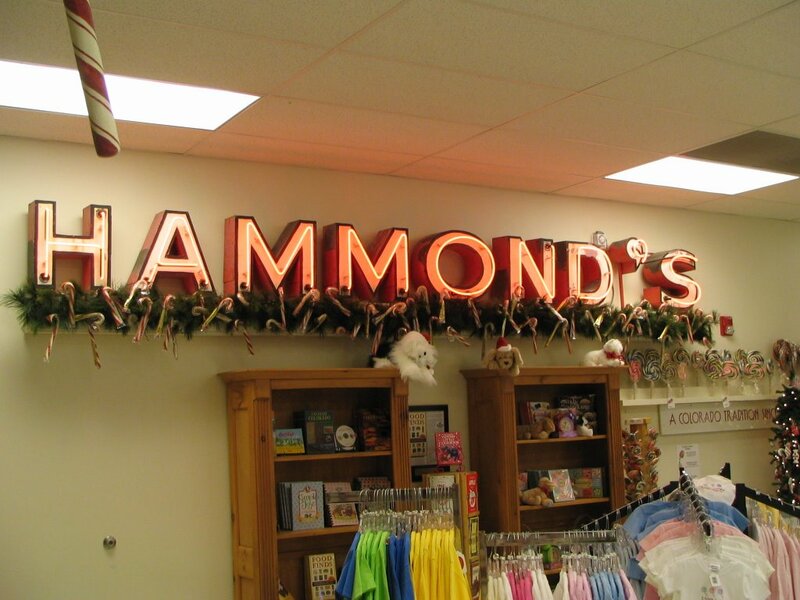 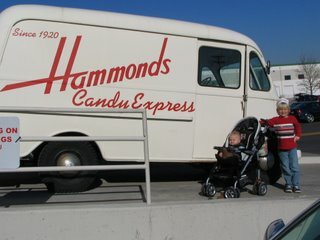 First stop was at the Hammond's Candy Factory. 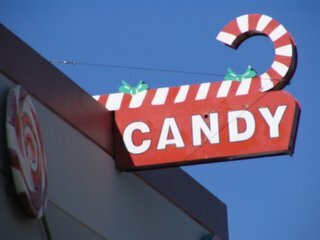 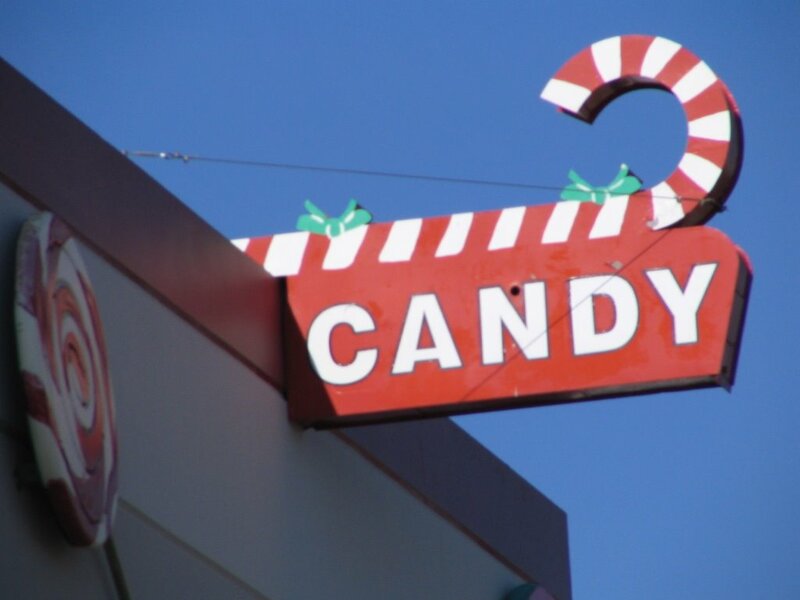 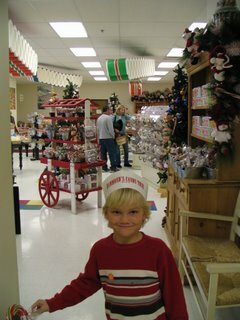 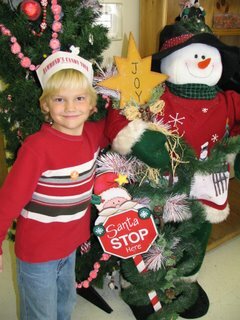 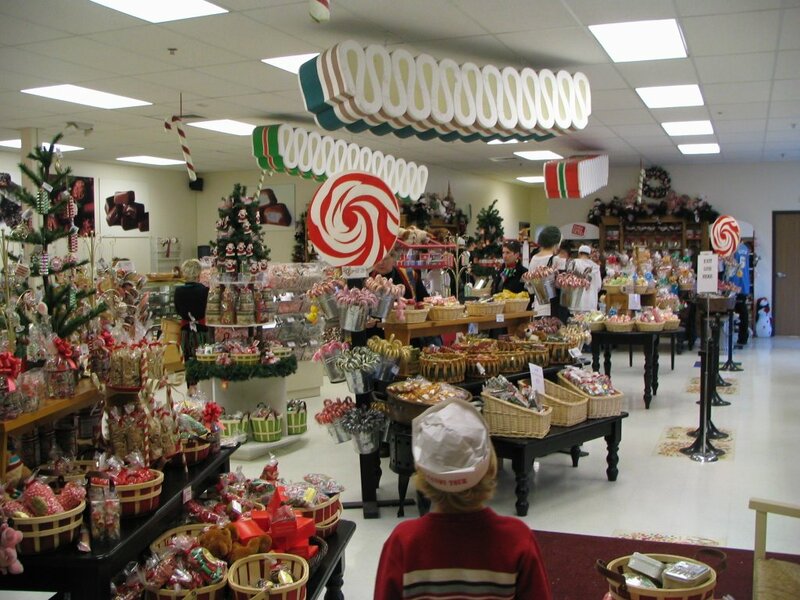 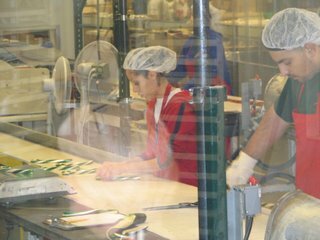 They've been making candy since 1920 and their specialties include candy canes and Mitchell Sweets. 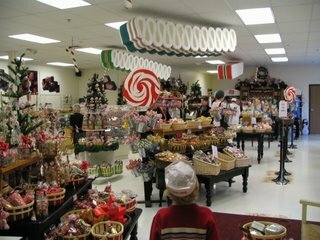 Everything there is delicious! 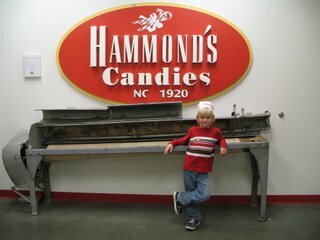 Carter wanted the lollipop laying down instead of the one in his hand. 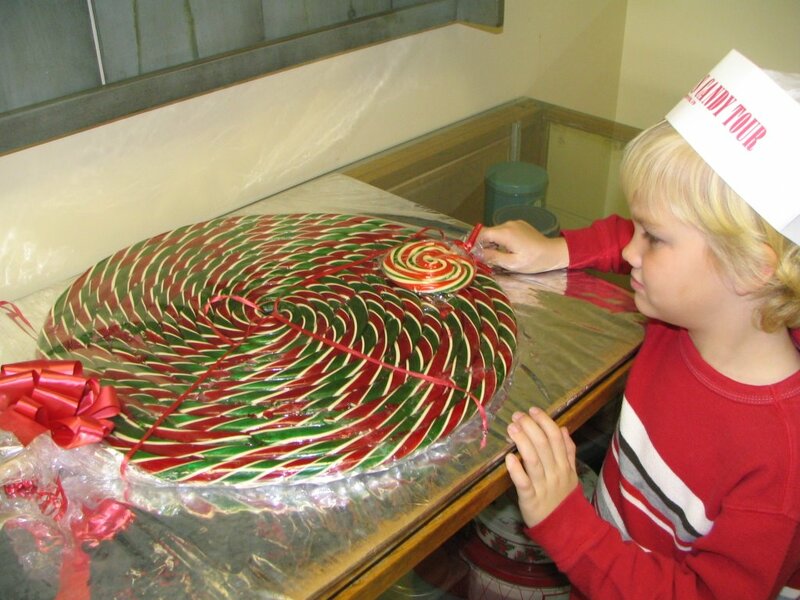 Making green candy canes. We saw this from step one, where it has an 8" diameter and then is stretched out into the size we buy. 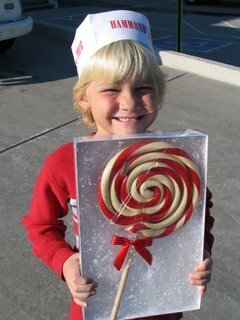 Jack won this 16 ounce lollipop during the tour! 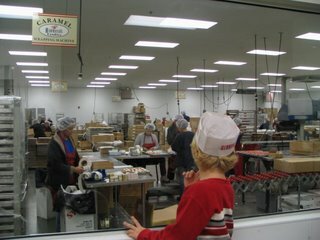 This IS the factory I saw on the Food Network. 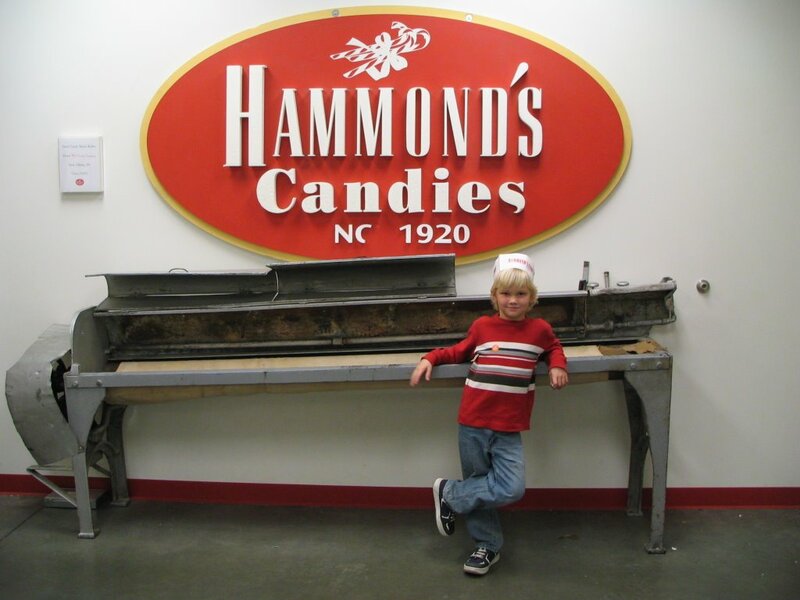 How cool! 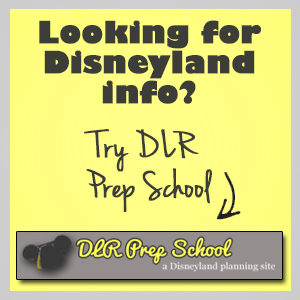 That's where I learned about it! 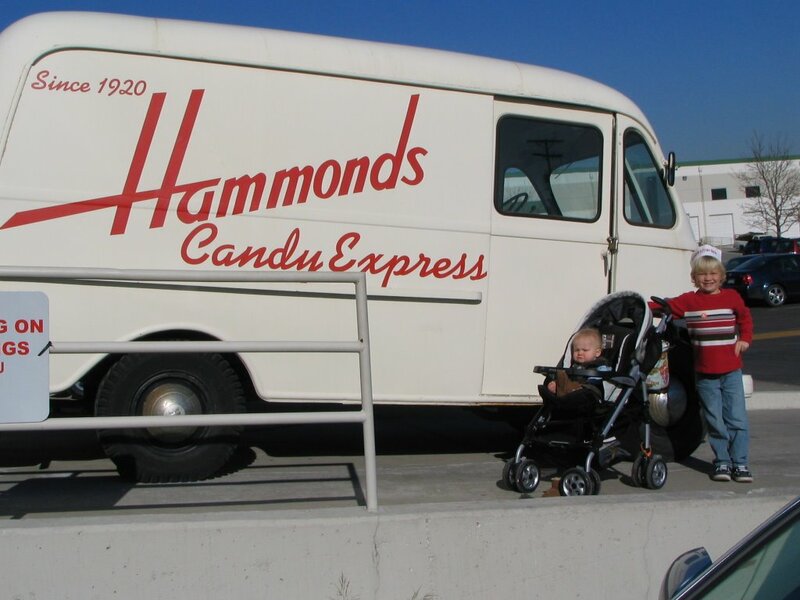 We can go again when you get here if you'd like. Those Mitchell Sweets are HEAVENLY.